Meet George Gregoire, an Innu man who was born in the Labrador bush in the middle of the last century, yet mustered enough education to write his memoirs. 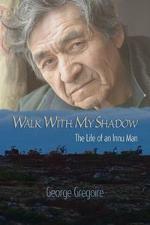 In the authentic voice of a storyteller George invites the reader to see Innu society and culture from the inside. He shares stories from his earliest childhood memories and the wondrous life of a hunter. George also became a husband and father and the story of his adult life is a mirror through which the images of a once independent people, under siege from the encroachment of a powerful and indifferent Canadian society, are tragically reflected. This is also a story of resistance and resilience, of a personal life and death struggle with alcoholism, as well as the desperate, brazen and occasionally triumphant struggles of a people to reclaim their culture and regain control over their lives and their homeland.